Set in the 1940s, the film stars Sanjay Dutt, Madhuri Dixit-Nene, Alia Bhatt, Varun Dhawan, Sonakshi Sinha and Aditya Roy Kapur in the lead, along with Kunal Khemu and special appearances by Kiara Advani and Kriti Sanon. 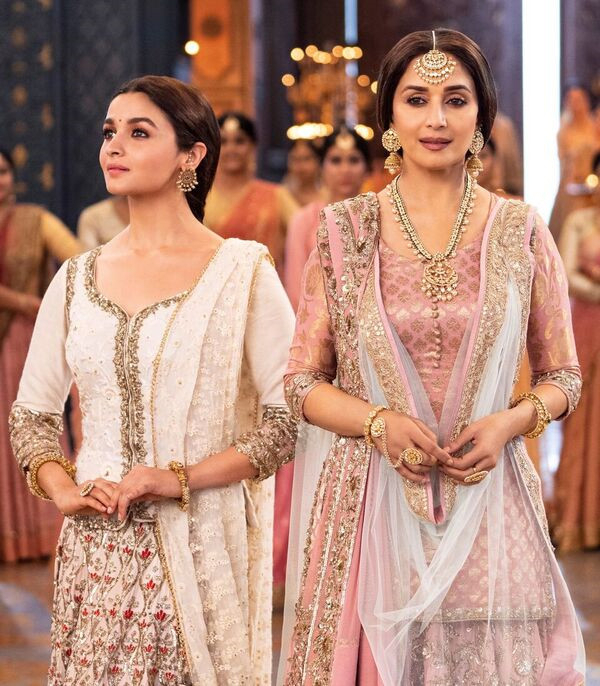 While the plot of ‘Kalank’ has been kept under wraps by the makers, nuggets about the film’s story have been offered as consolation, with Bhatt and Dhawan playing the two central characters Roop and Zafar, whose love affair sets the premise of the drama. “I’d keep pleading for her [Dixit-Nene] to sit in her vanity van. But of course, she had to be in the shots. So imagine, I had to dance in front of one of our finest dancers of all time,” Bhatt stated. The 12-film old Bhatt is teaming up with Dhawan for their fourth film together — that’s one-third of her career spent working with him. 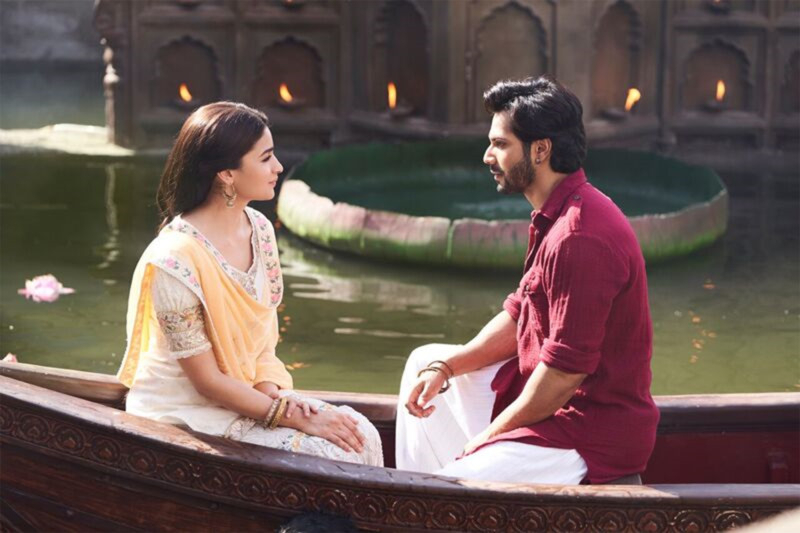 The duo made their debut with 2012’s ‘Student of the Year’ and went on to star opposite each other in ‘Humpty Sharma Ki Dulhania’ and ‘Badrinath Ki Dulhania’. All three films went on to become box office hits. 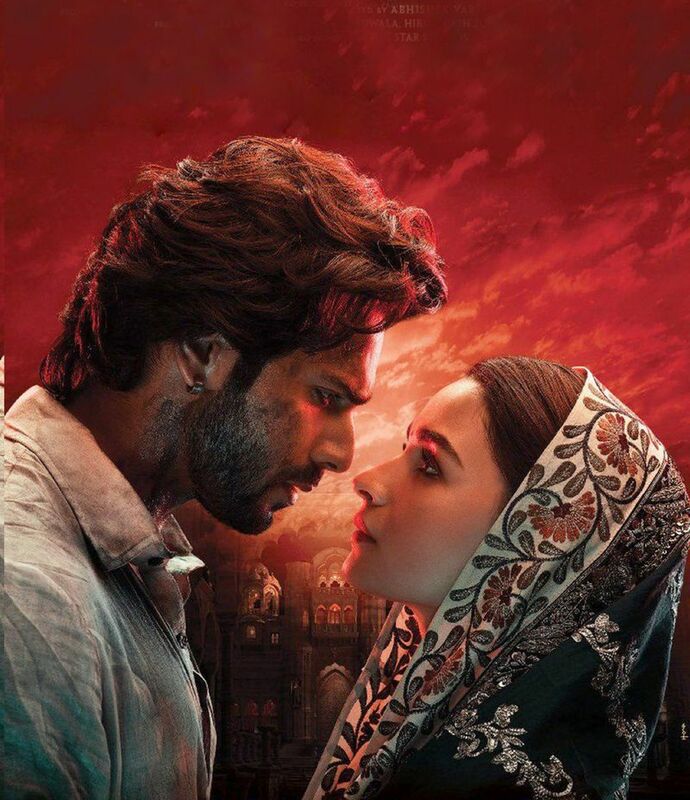 There were reports that ‘Kalank’ was inspired by author Shuana Singh Baldwin’s ‘What the Body Remembers’, but Dhawan has denied this is the case. 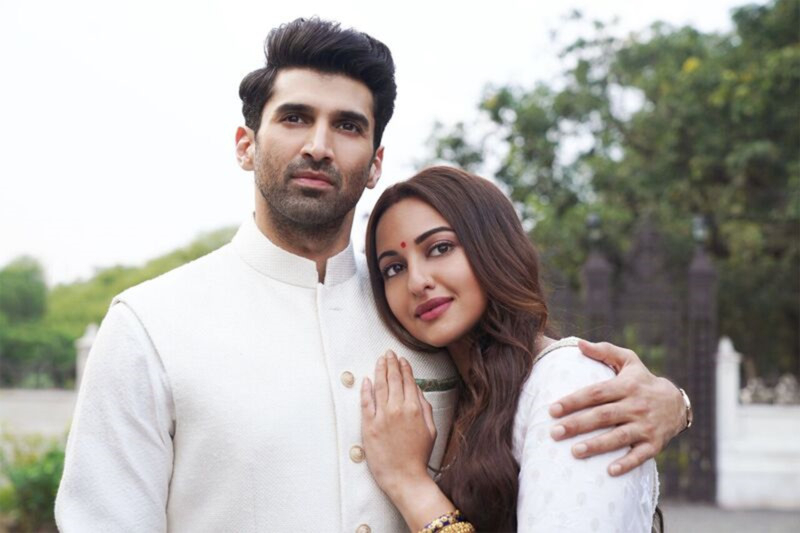 After the film’s trailer was unveiled, fans pointed out similarities between the film’s plot and the book, which chronicles the story of love and loss with the partition of India as a backdrop. Both the film and the book feature two women getting married to the same man. The names of the characters played by Bhatt (Roop) and Sinha (Satya) in the film are also similar to the book. “I have not read that book…. But I don’t think the premise is the same because our actual premise has not yet opened in the promos. 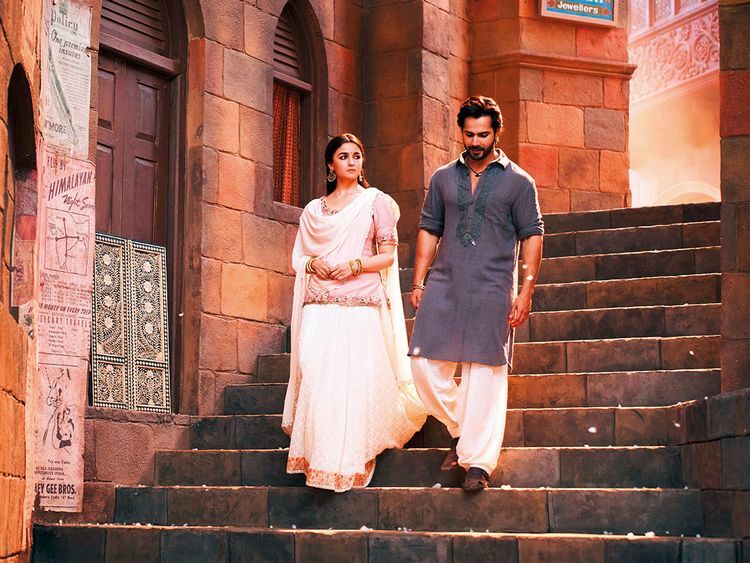 Yes, there is a love story but the film is a lot more than that,” Dhawan said in an interview. “Once people watch it they can make up their mind about that. But as far as I know, Karan had this story for a very long time which he wanted me to do,” he added. Dhawan said having the same character names could be a coincidence. Veteran actress Sridevi had signed on for the role of Bahaar Begum in the Abhishek Varman-directed film. Shortly after her death in Dubai last February, the makers approached Dixit-Nene to take on the role. “As an actor it wasn’t difficult to play this role. But emotionally it was difficult as you know something unfortunate had happened so suddenly. I am also a mother; she [Sridevi] has two kids, who are so young, so thinking of all that, it was really sad,” Dixit-Nene told PTI. The film reunites Dutt and Dixit-Nene onscreen after 25 years. Rumoured to have once dated, the duo starred together in a number of hit films, including ‘Saajan’, ‘Thaanedar’ and ‘Khalnayak’. However, their relationship reportedly fell apart following Dutt’s arrest in 1993 in Mumbai under the Terrorist and Disruptive Activities (Prevention) Act — charges that were later dropped, but he was convicted of illegal possession of weapons. Despite a long gap, Dixit-Nene denied there was any awkwardness between them. Aside from brushing up on her dancing skills to match steps with Dixit-Nene, Bhatt said her character Roop is perhaps the most complex one she has ever played. “She is a girl with a lot of [modern day] values... She may not be doing all the right things in life but her intention is not bad. She is emotional. Since she is vulnerable and burdened by the journey of life, but at the same time with all her complexity, she is adorable. The challenging part was to make her likeable... Hopefully people will like it,” Bhatt said in a recent interview. 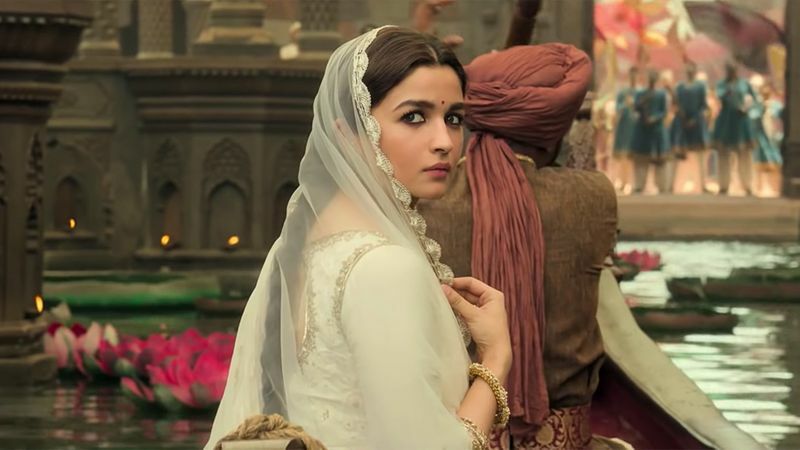 When the first track of ‘Kalank’ dropped, fans witnessed a young Bhatt attempt to prove her mettle in front of Dixit-Nene for ‘Ghar More Pardesiya’. In a tweet, Bhatt confessed that she was a nervous wreck trying to dance in the classical format in front of Dixit-Nene, who is a trained artist. In an interview with news portal Bollywood Hungama, Bhatt also confessed she had requested the veteran artist to leave the sets while the younger actress had to dance. 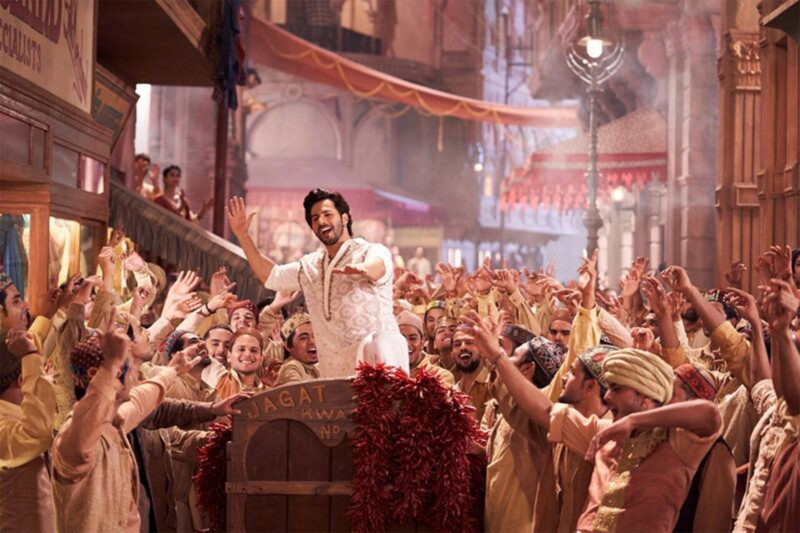 While Johar’s production has pulled off a casting coup of sorts by roping in some of the biggest stars of their generation, few know that ‘Kalank’ is a project that has been brewing on the Dharma Productions back burner for nearly 15 years. In his biography ‘An Unsuitable Boy’, Johar even mentions ‘Kalank’ with its original cast in a throwaway line in the book. “When my father was alive, I was writing a love story set in pre-partition times. But the canvas was too large, it was supposed to have Shah Rukh [Khan], Ajay [Devgn], Rani [Mukerji] and Kajol. It was about homes, and it had a Hindu-Muslim angle. It was a very strong subject, and would be called ‘Kalank’,” Johar wrote in his book. During the film’s teaser launch, Johar confirmed the project had been conceptualised when his father, producer Yash Johar, was still alive but the project was shelved after his father died in 2004. “‘Kalank’ is a movie that is close to my heart and my father’s since 2003 and it’s been on my mind since then. It was difficult without him to touch this film and one day I decided to do it,” Johar said at the time. Why have one, when you can have two actresses lend their names to special songs in the film? Johar first roped in his protege from ‘Lust Stories’, Advani, who appears in the track ‘First Class’, dancing with Dhawan. The filmmaker then followed it up with Sanon, who appears in the film’s latest song, ‘Aira Gara’, which features Dhawan and Kapur. Advani, who is busy these days with ‘Kabir Singh’ and ‘Good News’, told IANS she was happy with her cameo. “I am very excited for my special appearance in ‘Kalank’ since it’s a huge film and it’s the first time I am doing something in the period space,” she said. The actress may not command the lion’s share in the film’s promos, but Sinha says her role as Satya is a very powerful one. The trailer indicates Satya is married to Kapur’s character, but is forced to sacrifice her love when he takes a second wife, played by Bhatt. “My character is a very strong, resilient and silent woman who holds the family together. She has a very important part to play in the narrative,” Sinha said in an IANS interview. 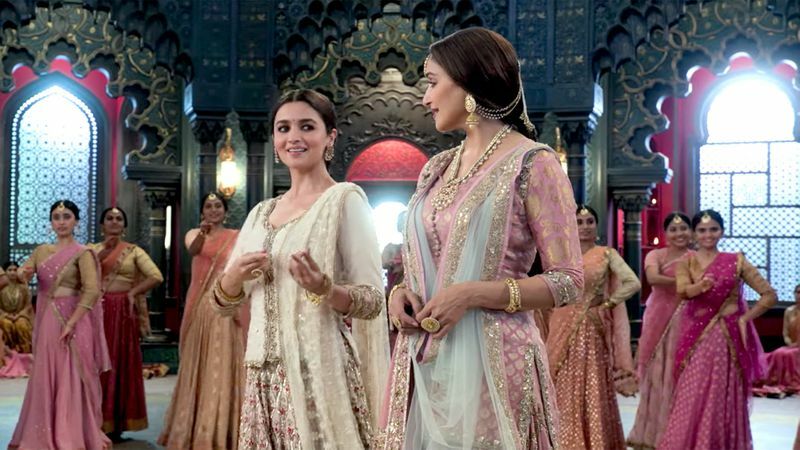 ‘Kalank’ releases across the UAE on April 17.